Aside from its Anker deal, Amazon has a bonus Gold Box deal today that may be of even more interest to you, fellow Android enthusiasts. 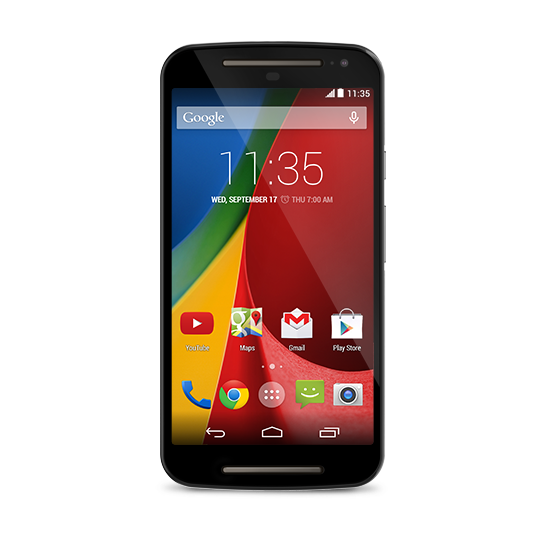 The second generation Moto G is down $40 on the site, dropping to one of the lowest prices we have seen it at: $139.99. The cheapest it has been sold for was $149.99, and that was only for one day back in December. The third generation Moto G may be around the corner, but this 2nd generation model is still one of the best low midrange Android devices, at a very affordable price. You don't get LTE or a CDMA version, but you do get a near clean Lollipop install with some of Motorola's improvements on top. It makes for a perfect smartphone for average users (hey, Father's Day is coming up! ), a great backup phone if you already have a high-end device as a daily driver, or a second device you can tinker with and install plenty of custom ROMs and mods on. 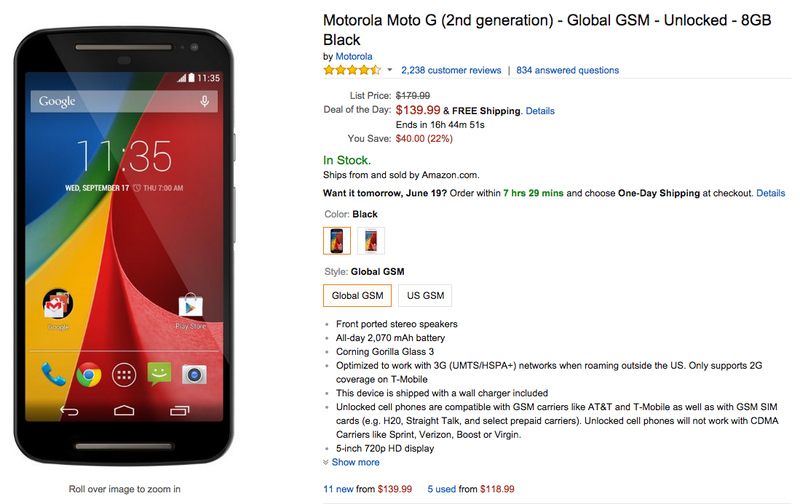 Amazon has both the Global GSM and US GSM versions discounted to $139.99. But as with all Amazon Gold Box deals, this one lasts only today or until stocks are available, and ships for free. Don't hold on too much before you click the Buy button, they may be gone by then.